The holidays are over but developers Wonderstruck have been working hard to provide a new year’s treat. 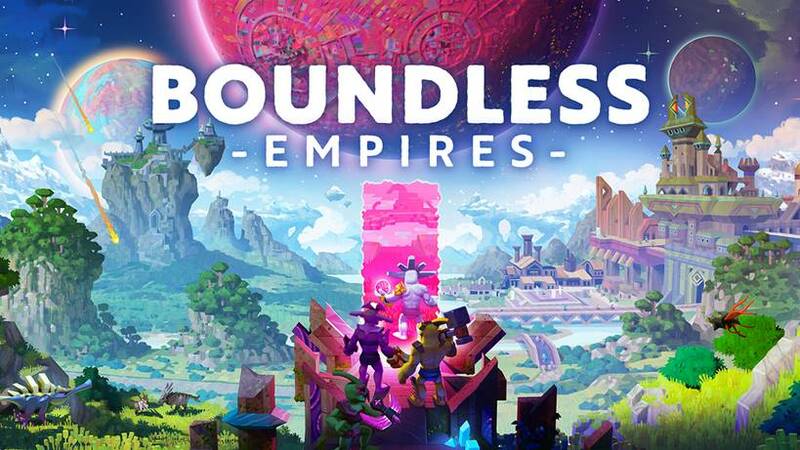 The first major update for subscription-free MMO Boundless has now gone live! It introduces a new Guild system to the game, so meet up with your friends online (remember this can be played across both PC and PS4) and head in-game for a winter wonderland surprise. Wonderstuck have been working hard to bring bi-weekly updates out since launch in September this year and are now pleased to announce the first major update, Empires. Wonderstruck are showing no sign of slowing down either - the publicly-announced roadmap for Boundless includes game-expanding features such as farming, alongside content drops such as the Hunter creature, a vicious new addition to the food chain. The team have just released the much-anticipated 'LED' blocks, which will enable players to incorporate simple animations to their builds. With even more huge features yet to be announced, launch really was just the beginning for Boundless. The Empires update will introduce Guilds, enabling players in-game to organise settlements and resources much more effectively, grant various buffs to members, and improve the process of collaborative building.